Front facade restoration offers new life to older and historic buildings, allowing the foundations of the past to continue to tell a story for many more years to come. Facade restoration includes recording, dismantling and rebuilding a brick façade using any and all salvageable materials along with new or reclaimed compatible materials. Historic buildings benefit from quality façade restoration, although if the process is not properly conducted the value of a heritage site may decrease as a result. If you own a historic building you will benefit over time by ensuring all restorations are up to code and utilize the right preservation processes. Turnbull Masonry approaches every building with a unique outlook depending on its history, materials and any underlying issues. The goal is always to preserve the building to the best of our ability while giving it the strength to last for many years to come. An important factor in façade restoration is the year a building was originally constructed. Other important elements to consider include original construction methods and the materials used. All of these things must be carefully recorded and considered in order to correctly remove and restore a building without altering anything about its original appearance or significance. Toronto’s older neighborhoods from the 1800’s are often damaged from years of paint or sandblasting. 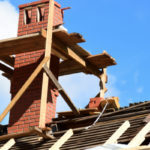 Another common issue is when mismatched materials are used for repairs, which only further contributes to the degradation of original materials. Houses that are over 100 years tend to look like a mess, which is why they are often painted or sandblasted in the first place. While a coat of paint looks nice temporarily it’s not the best long-term solution and may actually be causing more problems beneath its shiny surface. 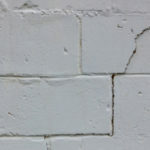 In this situation we are faced with two serious questions: how much brick needs to be completely replaced? And, will cleaning cause further damage to the outer façade? Worst case scenario, more than 50% of the brick surface is too damaged to repair and the front is single veneer. In this instance it is often best to record every last detail before removing all brick or stone. The damaged brick is then inspected for signs of salt and then turned over and cleaned on the opposite side. Ballooned framed houses built in the late 1800’s with single veneer bricks can often be used with the reversed side of the brick showing to the front. Interestingly, these same bricks tend to contain less salts and mineral build up than bricks sampled from double brick houses. With the back of the brick showing to the front all that is necessary is to clean the surface of any carbon using a low pressurized water source. From here, the new front façade is reconstructed using a lime mortar with no cement. If necessary, reclaimed brick or properly sourced brick that is compatible in shape, color and size may be used to fill in gaps. Repairing the entire façade of a building the right way prevents more damage from building up over time. Simply painting a building or replacing one brick at a time will only improve appearances temporarily. The goal is to stop active deterioration of materials, which is exactly what this type of restoration provides. An air barrier added with a building wrap to reduce future moisture issues. Old rusted horseshoe nail ties are removed and replaced with more dependable modern galvanized nails. Any old rotting wood sills are removed and replaced. Painted surfaces unable to breath will be freed from the suffocating grasp of paint. The entire front façade will be carefully documented so that the restoration looks identical to the original work. Prevents damage from happening to small, previously unaffected sections of the building, as is possible when just a few bricks are removed for restoration. An overall inspection of the building exterior, checking for any signs of alarming damage. Checking to see how much water has infiltrated the building. Existing materials will be assessed as salvageable or not. Windows, concrete roof decks, and other elements will be assessed for safety and stability. 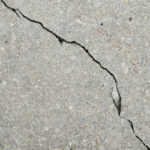 Before allowing anyone to restore the outer facade of your building you must be sure they are bonded, licensed and insured. When working with historical buildings you don’t want a newbie doing the work. 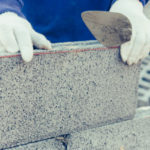 Seek masonry experts with years of experience, and pictures from previous projects similar to yours. Once a historic building has been altered there’s no going back so you can never take too many precautions. When properly done a facade restoration will make a historical building look like new without changing a thing about the exterior style and design, while using as many original materials as possible. As a result, the building will age as intended when first built and is guaranteed to last at least another century. 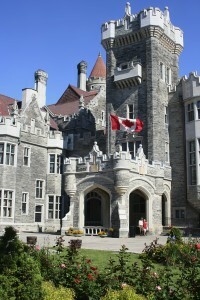 For high quality facade restorations in Toronto contact Turnbull Masonry today!